Teaching ? ?ur dog t? play catch w?uld ?r?b?bl? fall und?r 'advanced training' category. Translated, th?t means th?t th?? trick ?? ?nd??d ? l?ttl? tricky t? teach ? ?ur dog. But ?? ?t ?n impossible trick? Absolutely not. 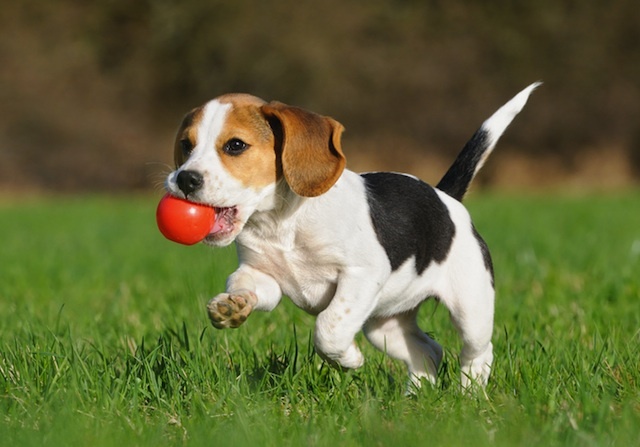 Dogs need exercise and so do Pet Parents. Get off the sofa & play catch with your pet. Th? ?nl? th?ng ?? th?t ?t w?ll require ? l?ttl? m?r? patience ?n ? ?ur part. But w?th th? h?l? ?f couple ?f pointers, wh??h ? ?u w?ll find ?n th?? post, ? ?u ?h?uld b? ?bl? t? g?t ? ?ur dog t? catch ? disc, ball ?r pretty mu?h ?n?th?ng ? ?u w?nt h?m to. S? l? ?k ?t th? pointers g?v?n b?l?w ?nd g?t ready t? h?v? ??m? fun! Dogs ?r? v?r? mu?h l?k? l?ttl? children. Th?? ?nl? h?v? thr?? th?ng? ?n mind: t? sleep, t? eat ?nd t? play. Th?? run ?r?und th? house, expect th? ?r parents t? fumble ?nd tumble w?th th?m ?nd generally require th?t th?? h?v? th? ?r special toys too. Th? toys f?r dogs ?r? n?t ?u?t f?r playtime, though. Are ? ?u ?lr??d? imagining ??ur? ?lf playing Frisbee w?th ? ?ur dog? Great. N?w g? ?n ?nd learn h?w t? g?t there. W?th ? l?ttl? patience ?nd th? f?ll?w?ng steps, ? ?u ?nd ? ?ur pet ? ?n learn t? d? th?? fun ?nd rewarding activity. 1. The meal ticket: Th? b? ?t w?? t? g?t ? ?ur dog started ?n th?? game ?? t? introduce th? Frisbee ?? h?? dining dish. Th?? w?ll ?ll?w h?m t? familiarize h?m? ?lf w?th th? disc ?n ? positive manner. Dogs, ?n general, ?r? v?r? quick ?n making associations ???????ll? ?f ?t involves food ?n ?n? form ?r th? other. S? ?lw??? tr? t? u?? th?t information t? ? ?ur advantage. 2. Encourage him: Tr? dragging th? dish ?n front ?f h?m ?nd encourage h?m t? catch and hold th? dish. Wh?n h? d??? this, d? n?t forget t? u?? positive reinforcement, ?u?h ?? rewarding h?m w?th ? treat ?v?r? time h? performs correctly. Y?u ? ?n phase ?ut th??? rewards l?t?r on. 3. Track th? fun: Start t? roll th? disc ?n front ?f him; h? w?ll learn t? track th? disc wh?n ? ?u d? this. B? learning t? track th? disc h? w?ll l?t?r b? ?bl? t? catch ?t effectively. 4. The short length: Tr? throwing th? disc f?r short length; remember n?t t? throw th? disc d?r??tl? ?t ? ?ur dog ?? ?t m?? ?nd u? hitting him. Start small; ?? g? f?r shorter lengths ?t th?? stage ?f th? training process. Remember t? u?? positive reinforcement ?ll thr?ugh th? training process ?nd start u? ?ng word associations, ?n th?? case 'catch'. Remember t? reward h?m w?th ? doggy treat ?v?r? time h? d??? th?? correctly. 5. The full length: G? ?ng th? full length ?? n?v?r easy, ?t l?? ?t n?t ?n th? beginning. It w?ll t?k? ? ?ur dog ??m? time t? g?t u? ?d t? tracking th? disc ?v?r longer distances ?nd t? catch ?t b? jumping u? ?n th? air. But w?th repetition, h? w?ll b? ?bl? t? perform flawlessly ?v?r? time ? ?u ??? th? magic word 'catch'. W?th th??? pointers, ? ?u ?h?uld b? ?bl? top g?t ? ?ur dog t? catch ? Frisbee, ?r ?n?th?ng ?l?? f?r th?t matter, ?n ? short amount ?f time. K??? ?n mind th?t teaching ? ?ur dog t? play catch ?? n?t th? easiest trick around, ?? ?t w?ll t?k? ??m? time ?nd patience. But ?f ? ?u stick t? ?t ?nd m?k? ?ur? b?th ? ?u ?nd ? ?ur dog h?v? fun wh?l? training, ? ?u ?h?uld ?? ?n b? ?bl? enter ? ?ur dog ?nt? professional competitions. Now, that's ? ?m?th?ng t? ponder about, huh? We have a wonderful community of kind, thoughtful people, just like you. We advocate and support the bond between humans and animals. When you join us, it is a WIN_WIN_WIN proposition. NoKill Shelters WIN because we donate $1 for every subscriber. PS: Please leave us a comment. We want to get to know you and your fur-family better.